In Singapore's case, she borrows to invest, not to spend. Singapore remains a net creditor. At the end of 2017, the IMF measured Singapore’s national debt to GDP ratio as 110.86%. This is the 13th highest in the world when expressed as a percentage of GDP. However, no one seems to be worried about the country’s national debt. This is because, the headline figure reported by the IMF was gross national debt. When economists examined Singapore’s net national debt, they discovered that the country owes nothing at all. The difference between gross national debt and net national debt is that the first just takes account of what the country has borrowed. The second deducts the cash, shares, debentures, and bonds that the country holds and deducts those values from the gross debt figure. As the Singaporean government’s assets outweigh its debts, the country has a net debt to GDP ratio of 0%. Why does Singapore borrow money? If the government of Singapore has so much money in the bank, why does it need to borrow money? That gross national debt figure wasn’t invented. Singapore has borrowed a lot of money and continues to do so. The answer is that the government does not borrow to fund its running of the country. Instead, it borrows for specific infrastructure projects. Once those projects are completed, they result in assets, which have a value. So, all of the debts that the government carries are matched by assets of equal or greater value. Thus, despite having that large gross debt, the country has a very good credit rating. The long-term credit ratings of the country as awarded by the four largest credit rating agencies are shown in the table below. 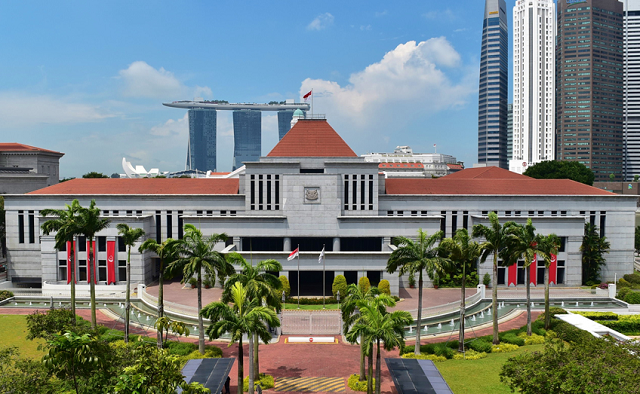 Both the country’s Constitution and the Government Securities Act prevent the government of Singapore from spending any funds raised through debt securities. The money cannot be used to subsidize the annual budget, but must be invested in capital projects that have sufficient profit projects to service the debt that funded them. The public debt of Singapore is the responsibility of the government’s Ministry of Finance. However, the Ministry hands that job of raising money over to the Monetary Authority of Singapore. This organization, which is known as MAS is really the country’s central bank. However, it also manages the sale of Singapore Government Securities. How does MAS raise money? You can read more about each of these devices in the following sections. The savings bonds a retail enterprise and they are offered to the general public. Rather than being classified as a typical government debt instrument, the savings bonds are actually certificates of deposit. They allow members of the public to earn interest on their money over a fixed deposit term. All bonds are issued for a fixed term of 10 years, but they can be cashed in once a month. The bonds pay interest every six months and have a floating interest rate. The bonds can be traded, but the fact that they can be cashed in at full face value during their lifetime means that buyers will never run the risk of them losing their value before their maturity date. The government of Singapore issues benchmark bonds in order to encourage the debt market in the county. These bonds are tradeable act as a floor for the market and give traders a yardstick against which to judge the value of corporate bonds floated on the debt market. Benchmark bonds are issued with maturities of 2, 5, 10, 15, 20 and 30-year maturities. SSGSs are not tradeable. They are only issued to raise income for the Central Provident Fund (CPF). These government-backed securities provide the state pension fund with a steady income from interest payments. Treasury bills are short-term debt instruments that help the national government bridge the gap between expected receipt from taxes and tariffs and the rate of remittance. These devices enable the government to maintain a steady cash flow even though its normal income arrives at an irregular rate. Treasury bills are only offered with a one year maturity. These are discounted and repaid at the full face amount. However, Treasury bills do not pay interest. One of the key reasons that the government of Singapore decided to raise debt as to encourage the creation of a debt market in the country. 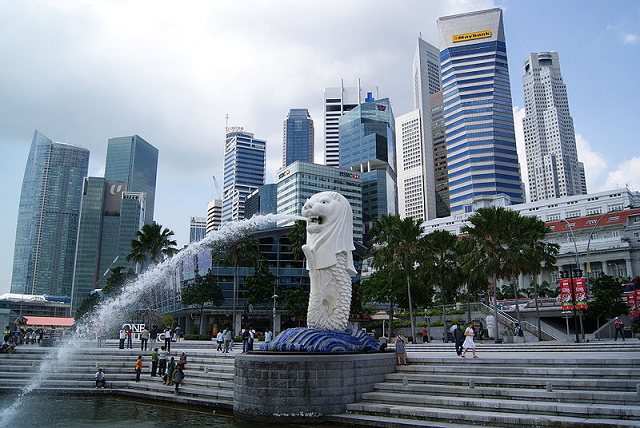 This enabled Singapore to develop as an international finance hub and enhance the locations attraction to international banks. Of the debt instruments that the government issues, only SGSs and Treasury bills can be traded on the secondary market. MAS offers sales of both of these instruments at regular periods. The sale is effected by tender and only registered primary dealers are allowed to bid. Members of the public are not allowed to buy bonds direct from the government, other than the Singapore Savings Bond. Once the primary dealers have bought up the government’s bond issues, they resell them on the secondary market, which makes them available for other institutions and the general public. The table below shows how the total outstanding amount of bonds and bills changes from month to month. What facts should you know about Singapore's national debt? You could wrap $1 bills around the Earth 2,117 times with the debt amount. If you lay $1 bills on top of each other they would make a pile 59,399 km, or 36,909 miles high. That's equivalent to 0.15 trips to the Moon.